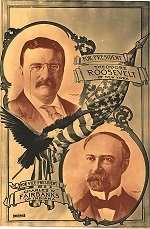 In 1974, John Gable, Director of The Theodore Roosevelt Association located in Oyster Bay, New York, donated more than 2,000 books and a small archival collection to LIU Post. 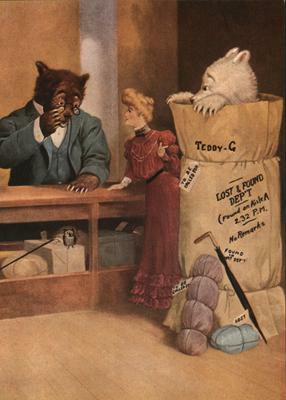 These donated items were originally part the Theodore Roosevelt family library, and the Roosevelt Bears Postcard Series were included in this archival collection. 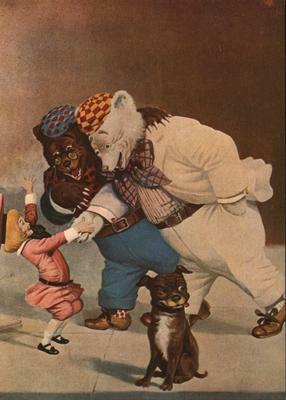 In 1905, author Seymour Eaton began to write and illustrate a humorous weekly newspaper which included poetry for children. 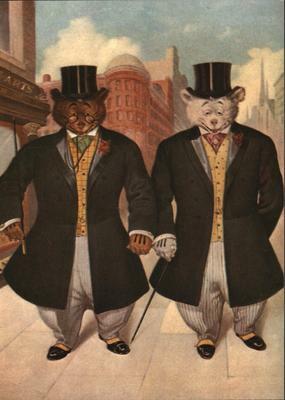 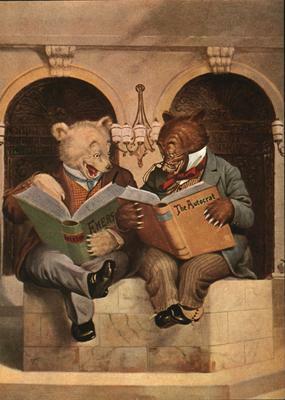 Two of Eaton’s illustrations were of the anthropomorphic bears, Teddy-B and Teddy-G. 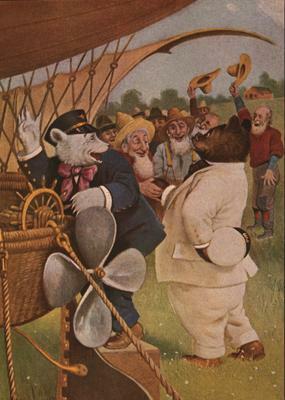 In playful parody of Theodore Roosevelt and his adventures, these bears from Colorado wanted to travel to investigate human society. 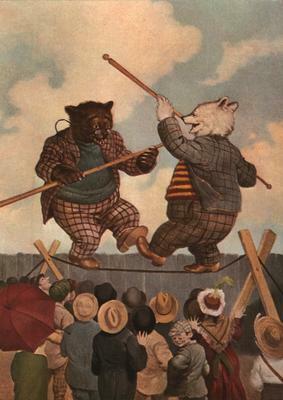 The publications augmented the Teddy Bear craze which began in 1902 when it was popularized that Roosevelt saved a bear his staff tied to a tree for his sport. 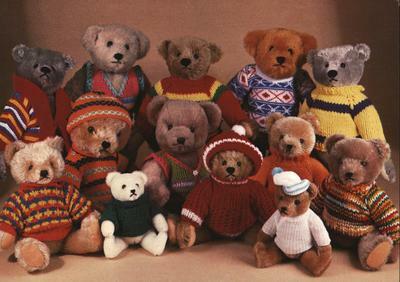 For more than twenty years, the Teddy Bears created by Eaton were featured in many juvenile books. 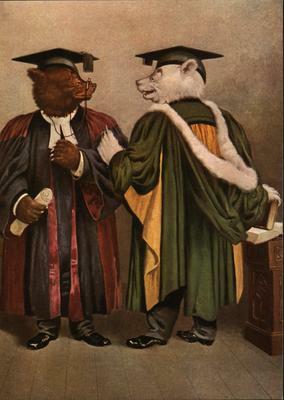 The Roosevelt Bears in the following series were originally produced in 1906 and 1907 . 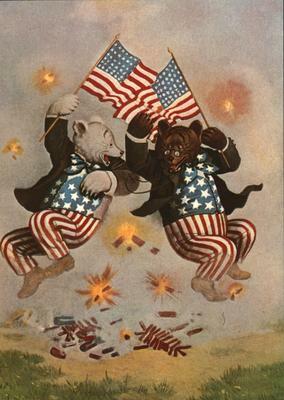 V. Floyd Campbell was the illustrator for the original 1906 postcards. 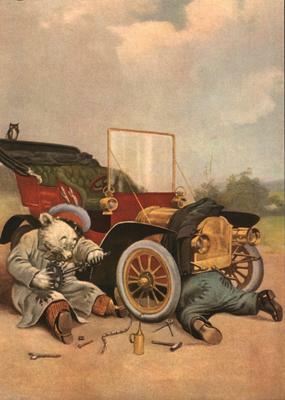 R. K. Culver illustrated the original 1907 postcards in this series. 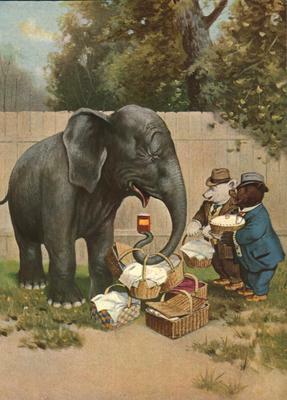 These selected postcards are reproductions which were published in 1964, with one dated 1985.